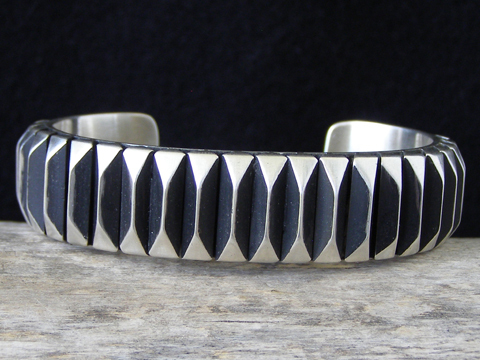 Leander Tahe Corrugated Sterling Bracelet size 6 1/4"
Known for his beautifully-made holloware bracelets, here Leander Tahe introduces a new design which features a corrugated surface decorating this very solid cuff of contemporary design. This is a young artist who has vision. You'll love this piece on your wrist! Hallmarked L.Tahe and stamped Sterling inside.